The turbocharged Honda WR-V uses a 1.5-litre petrol engine with power uprated to a 165 bhp and will be Indy's Pace-Car in Brazil. The Honda WR-V crossover has turned out to be quite a popular offering for the Japanese automaker across emerging markets. The Jazz-based offering has been appreciated for its practical and spacious cabin, frugal nature and rugged appeal that has worked quite well for young buyers. The WR-V though isn't exactly associated with being performance-friendly offering, not until the WR-V Pace Car showed up on the other side of the world. 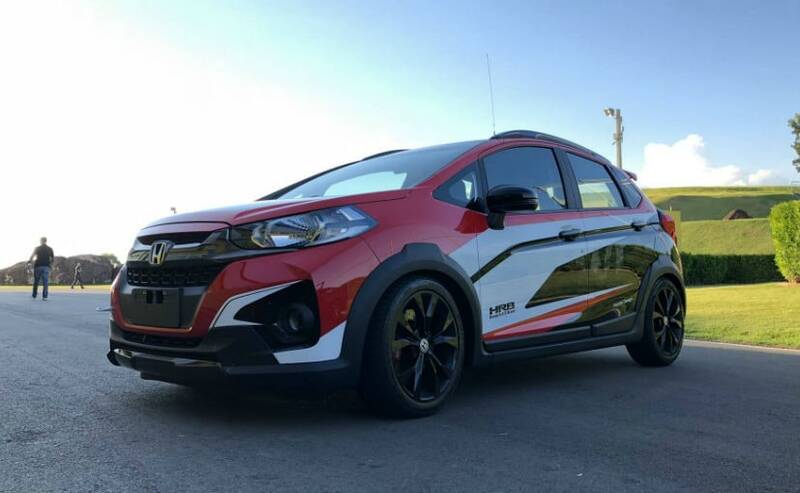 Honda Brazil recently showcased the WR-V for IndyCar that is a visually souped up and turbocharged version of the crossover. 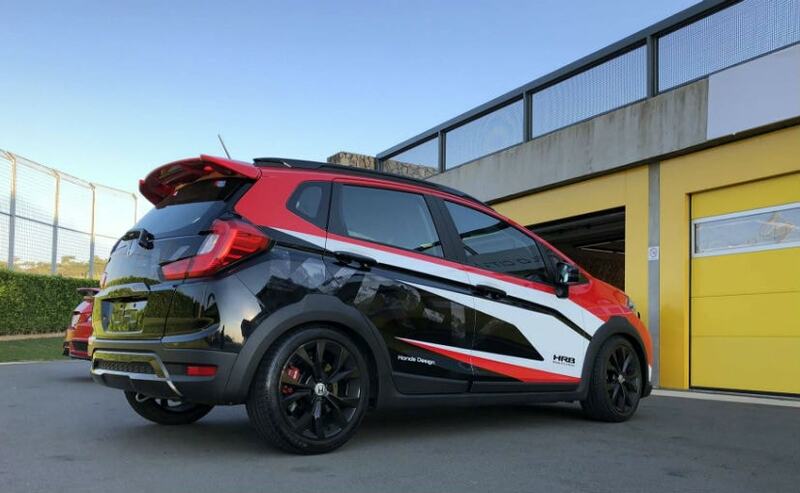 The Honda WR-V Turbo Pace-Car was showcased at the new Honda Civic Si media drive in Brazil to motoring journalists, who were taken by surprise. 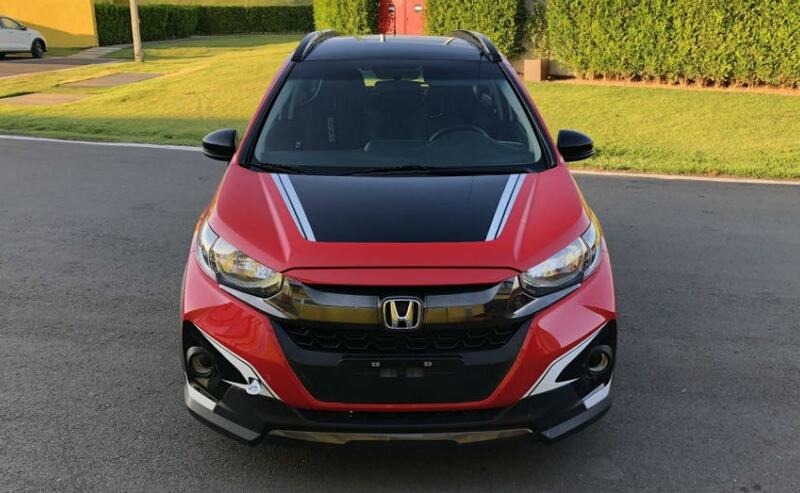 The crossover gets a host of changes over the standard model complete with the all black treatment that is complemented by the Honda Racing red and white stickers on the car. The one-off model also comes with a large roof spoiler and smoked and head and tail lamps to complete the look. The WR-V turbo also gets a lowered suspension, as well as larger and wider 17-inch alloys wrapped in Continental 215/45 R17 ExtremeContact tyres. Other upgrades include upsized disc brakes on all four tyres, while the exhaust system is also new for better flow and a more intimidating exhaust note. 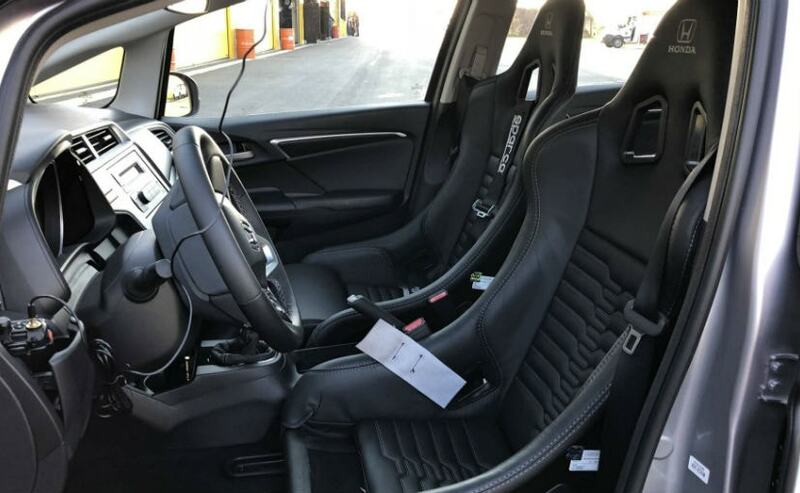 The cabin does not dramatic upgrades, save for the bucket racing seats. However, the major upgrade is under the hood of the Honda WR-V Pace-Car that draws power from a turbocharged version of the 1.5-litre i-VTEC petrol engine. In its standard guise, the motor for Brazil is tuned to produce only 115 bhp, which has been uprated to 165 bhp. Honda Brazil says the engine will be further tuned to offer up to 211 bhp, by increasing the turbo's boost pressure, on the actual pace car. Torque too has increased from 150 Nm to 190 Nm on the model. The motor comes paired to a 5-speed manual transmission. Those look like some seriously quick figures! In contrast, the India-spec Honda WR-V gets a 1.2-litre VTEC petrol engine that produces 89 bhp, while the 1.5-litre diesel churns out 99 bhp. Honda has produced a number of Pace-Cars in the past for the Formula IndyCar stage in Brazil and the new WR-V turbo joins this elite list of track scorchers. 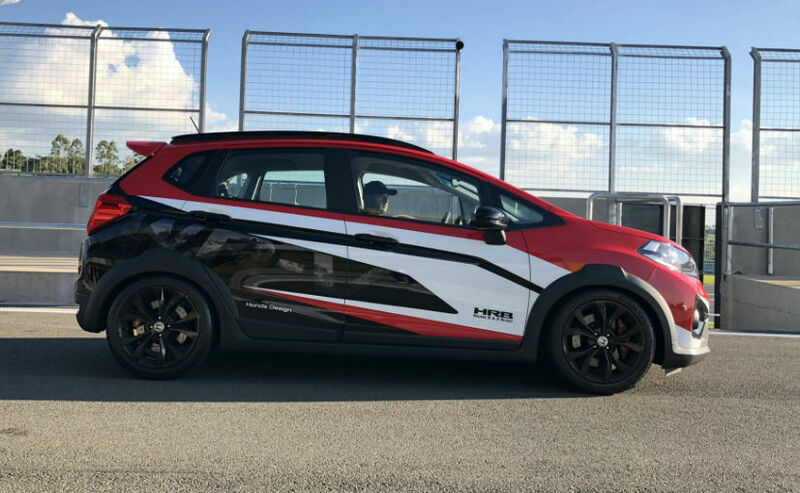 The company's last Pace-Cars include the Civic that was used in 2012 and had a turbocharged 1.8-litre engine with power uprated to 270 bhp; while the Honda Jazz served as a Pace-Car in 2014 with power increased to 221 bhp from the 1.5-litre VTEC motor. Would you like to see a turbocharged Honda WR-V for India? Join the discussion on our social media handles.